Roller derby night returned to the Outer Banks when the Kill Devil Derby Brigade‘s home team, Blackbeard’s Revenge, claimed a hard fought victory over the Riptide Wreckers at a recent event at home at Aviation Park in Kill Devil Hills. 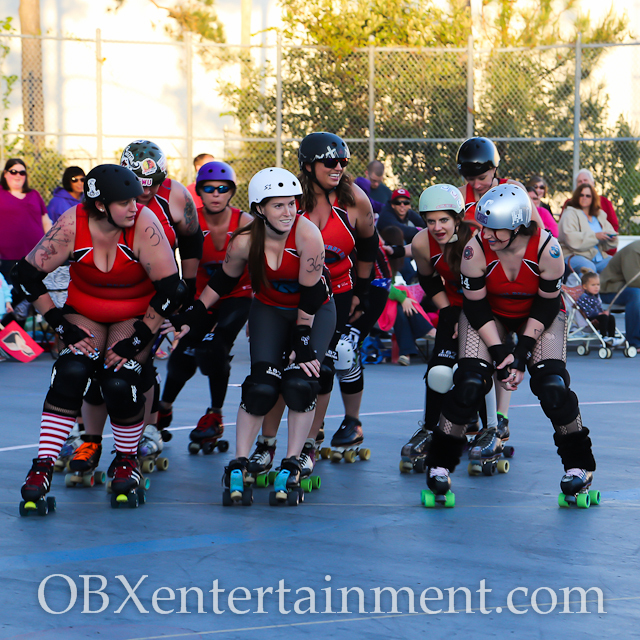 In front of an enthusiastic crowd of fans, the local roller girls hit the rink for a bout, dubbed The Perfect Storm, on Saturday, May 2, and OBX Entertainment was there to bring you all the hard hitting action. Watch our highlight video from the event in the player below, and then scroll down to view more than 100 exclusive images in our photo gallery!